Restaurant and commercial kitchens require their own set of safety considerations — after all, they’re a common place for open flames, high heat and potential fires. 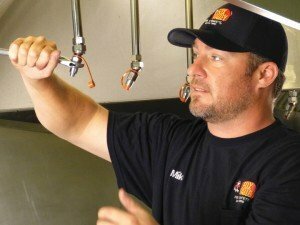 Restaurant kitchen hood fire suppression systems require a semi-annual inspection to ensure top performance — and safety — for employees and customers alike. 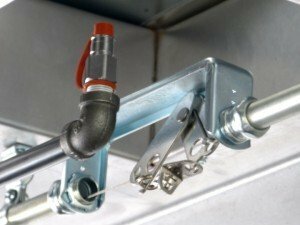 Inspecting restaurant kitchen hood fire protection systems for proper function requires more than just a visual overview or a system test. Proper maintenance from a factory authorized, trained service technician is essential for compliance and warranty. By observing some fundamental rules, you can greatly reduce the risk of serious fire damage. Always make sure that all staff members are aware of the scheduled date and time of the service and inspection. Cooking equipment must be cool and not in use prior to the inspection. Notify anyone who could be involved or effected. Also, make sure that everyone present at the location is aware that fire alarm must be taken out of service during the service and inspection time period. The fire alarm and monitoring system must be taken out of service to avoid false alarm activation during the service and inspection period. Upon final approval and completion of the inspection and service, your service technician will provide documentation of compliance. 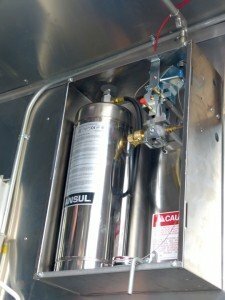 Along with regular service, maintenance and emergency response, the Fox Valley Fire & Safety team offers other inspection services for all types of fire safety systems, including Fire Extinguishers and Emergency Exit Lighting. Contact them today to learn more about inspection procedures and keeping your kitchen safe.